Let’s start this off with a question: If I explained you about the new upcoming iPhone X with an interesting blog post or if I explained the same to you through a 5-minute video, which one would you opt for? I think there’s a clear winner there, that being the latter. This just goes to show how much we’ve evolved in the way we consume content today, especially through the internet. The present day has witnessed human beings changing from referring to libraries of books for information to Google for all the information they need. Today, social media applications earn more from revenues than books earn from being sold. Why? Simply because people have changed in the way they want to consume content and videos are the highly-preferred one, all around the world. The impact of videos cannot be restricted just to social media platforms, but also in the corporateworld as well. Companies, businesses, organizations, etc. rely on corporate films and videos to promote themselves, train employees, convey messages to people, and so forth. Due to this reason, corporate film production has become a crucial task for most of the corporate companies in order to increase productivity and make their companies grow. 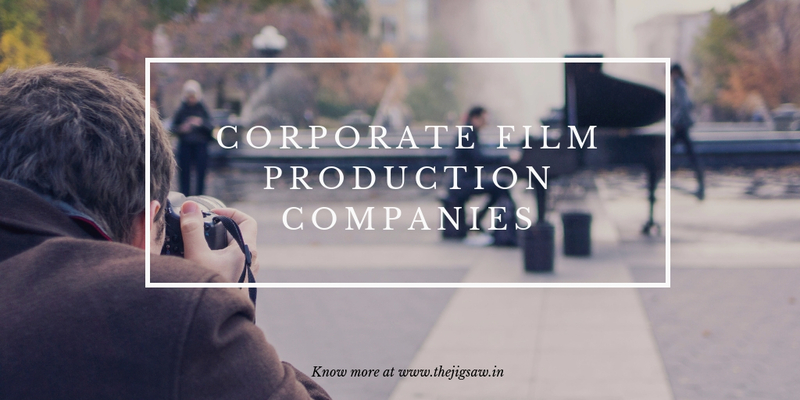 Hence, read further to know more corporate film production companies. Corporate Film Production – What is it? Corporate short films or videos are videos that are created for corporate companies, to help them connect the boardroom of the company to its employees, in order to convey the company’s opinions, proposals, ethics, and ethos to the consumers. Video consumption has witnessed a huge surge in the 21st century because times have changed and people respond to digital media much better than that to print media, thanks to the rise of social media platforms like Facebook and YouTube. As a result, companies benefit a lot from corporate videos. The production process of these corporate films is what is termed as corporate film production. Film production companies in the corporate sector must be astute to the requirements of their clients, and also must have a firm grip on how to best utilize a creative medium to portray the corporate rhetoric. Corporate film production companies generally cater across the spectrum from industrial manufacturing companies to large government and multinational companies and high street shops. With the trends of high-quality content online and the decrease in the advertising revenue, production companies usually make films for public and social media consumption. Production companies that are well-established know how to present nicely crafted corporate films that can be a flexible form of media, that progressive businesses can use for several purposes, like, recruiting new employees, promoting the corporate culture, portraying the history of the company, employee or management training, marketing the brand, etc. A professional company will know how to create an impressive film meant specifically for its target audience. Another factor that creates a big impact is the intended viewing environment of the corporate film, which is kept in mind by the personnel of the corporate film production company. Whether the company possesses its own media department or the video production process is outsourced to a studio expertise, the viewing environment is a crucial factor. The environment in which the consumer or viewer will see the video determines various factors like animation, length, audio, and message formats, etc. The most common viewing environments include the internet, home television, workplaces, in-flight media, department stores, and so forth. Ultimately, the main importance of corporate film production is not only making the sales but increasing them as well. Professional production companies makes use of good locations, proper equipments, and diligent staff members in order to deliver a power-packed film that will not only wow its viewers but will also help them understand what is being conveyed through the video, ultimately making a sale or increasing the statistics. The company may not always have access to all the financial data of the client company or other raw data, but professional production companies have what it takes to meet the requirements and deliver a crisp and effective corporate film.